Whether you celebrate or not, it is difficult to ignore all the flowers, chocolates, and gift displays in many shops in the build up to Valentine’s Day, this Wednesday. I have been wanting to make a Bundt cake for ages, having borrowed a cake tin from my Mum’s vintage collection. 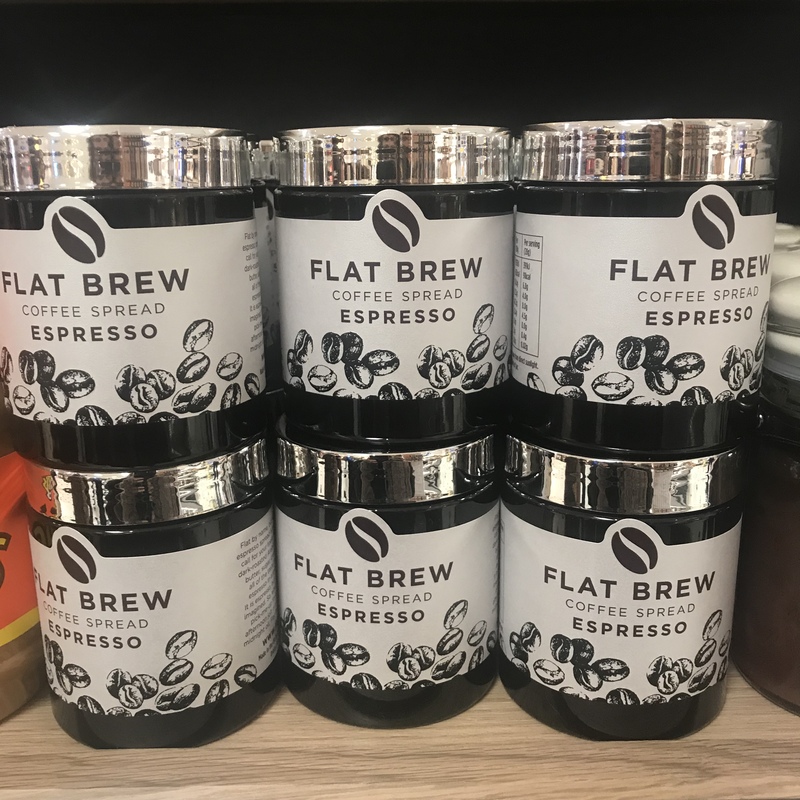 I discovered a new product, Flat Brew Espresso coffee spread (@flat_brew) and also wanted to experiment with it in a recipe. By random chance, perhaps fate, I call it cake karma I bumped into the founder who was running a sampling stand in Fortnum & Mason, the famous food emporium in Piccadilly, London just before Christmas. After a chat he suggested the coffee spread would be better in a cake frosting rather than baked into a cake. I am also in family birthday season- three which fall within the next month, including yours truly. 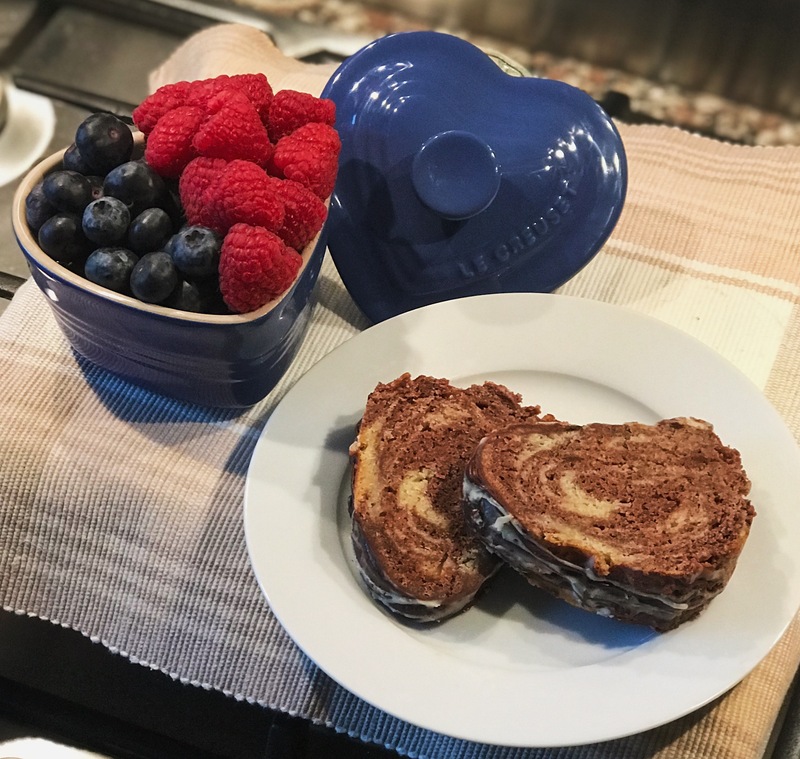 So whether it be for a birthday, Valentine’s, Galentine’s or just because you like cake here’s my version of John Whaite’s Chocolate Marble drizzle cake with a few taste2taste twists. 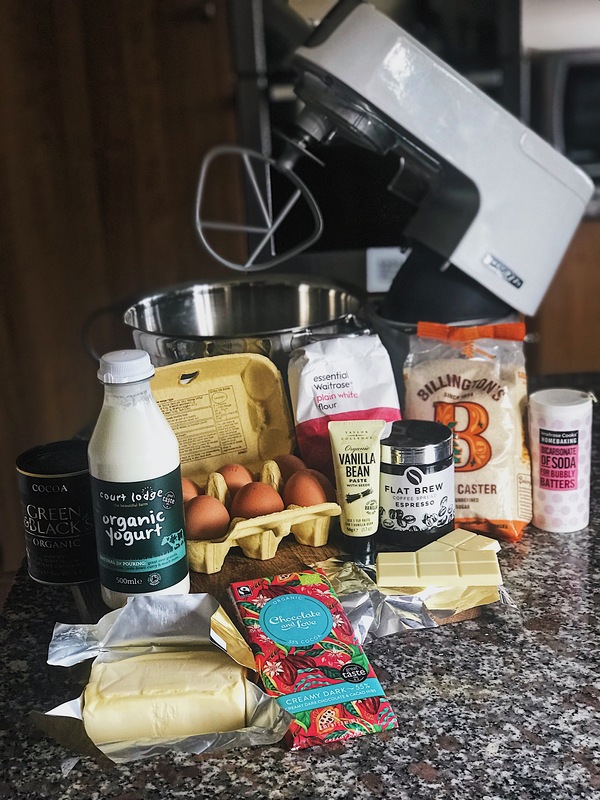 John is a Great British Bake Off Winner, cookery book writer & cookery school founder (@johnwhaiteskitchen) & his Instagram photo looked delish! Cake karma it is so I combined all of the above. The coffee spread is optional, you could use espresso powder, very strong coffee or leave out if not a fan. However I like the mocha ( chocolate/ coffee) intense flavour combo. 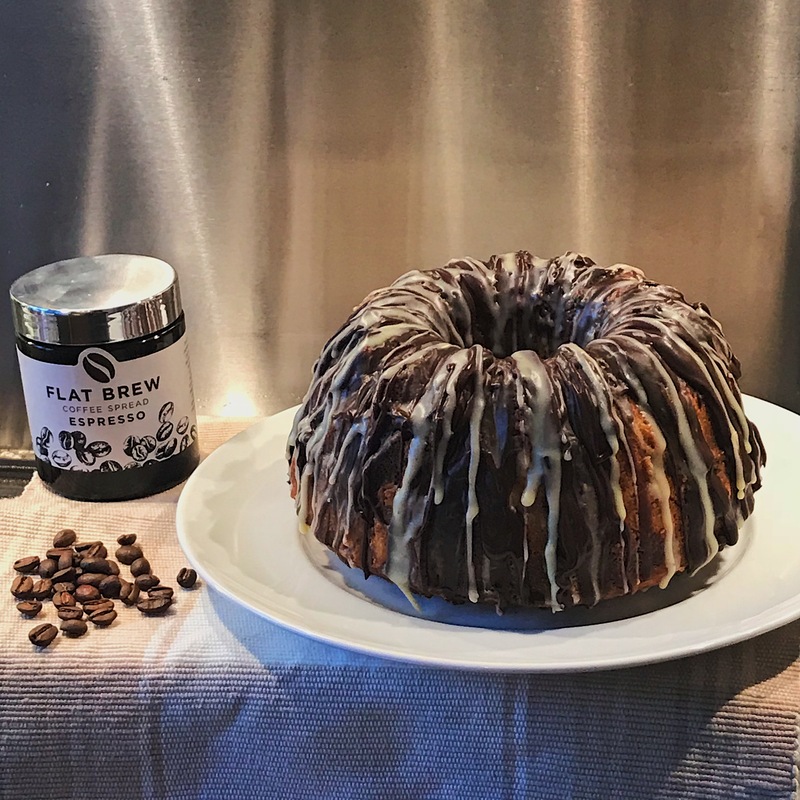 If you want to make it easier use a smooth ring or loaf tin to avoid the stress over whether the cake will release from the Bundt tin. I however was up for the challenge! 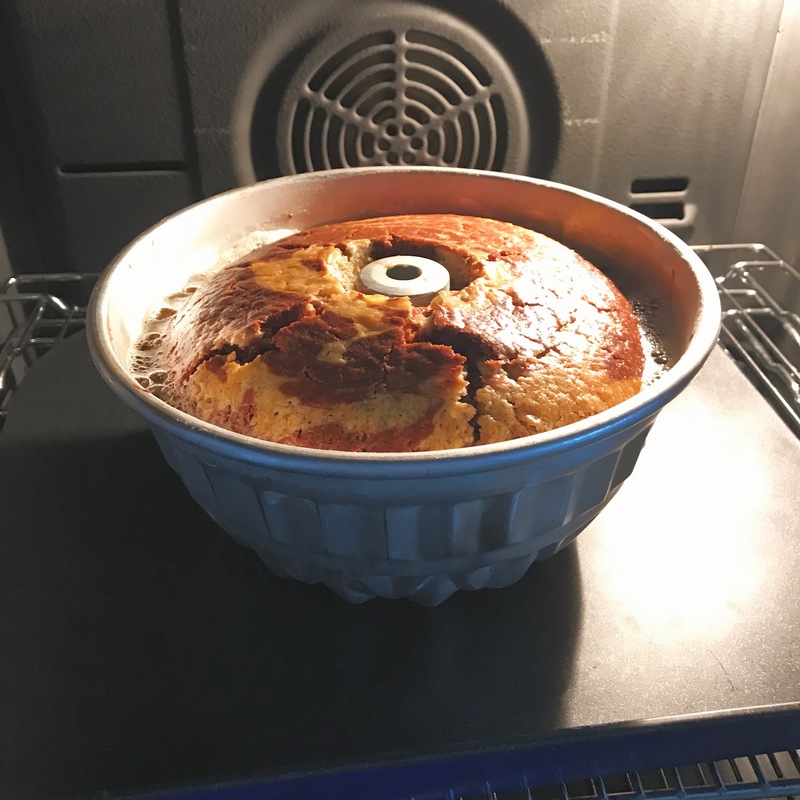 I followed John’s foolproof method for preparing the Bundt tin. 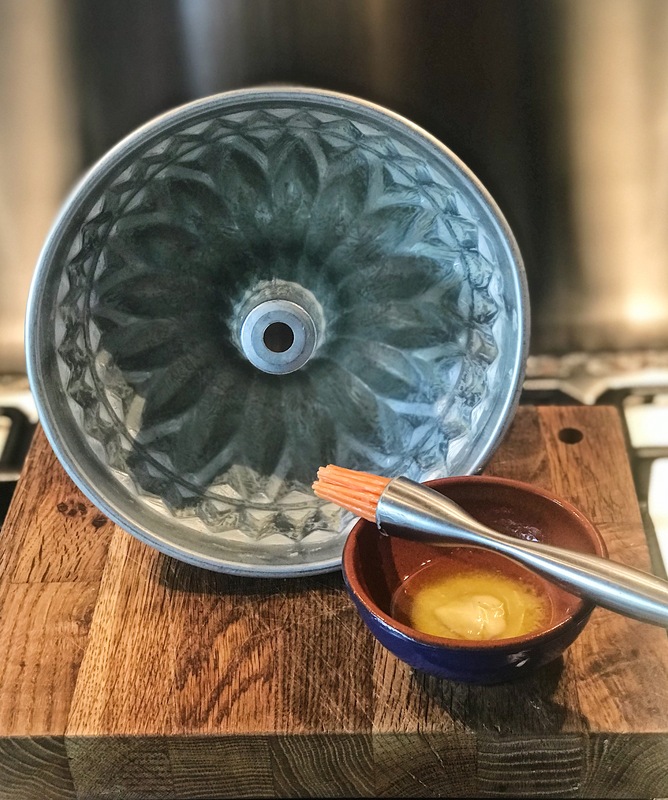 Melt 20g/ 0.7 oz butter and brush a thin layer on the inside of the Bundt tin getting in every nook & cranny using a pastry brush. If you have room put in the freezer for a few minutes, I used the fridge to set. 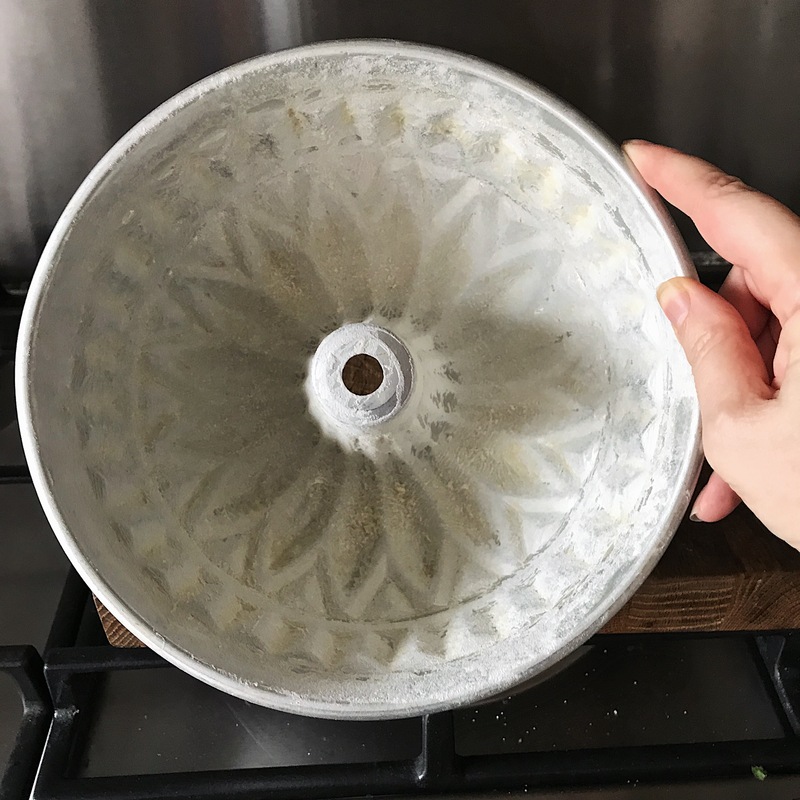 Repeat with another layer of melted butter then dust all over with a handful of flour again ensuring the whole tin is well coated. Shake the pan to get an even layer then tap out the excess flour over the sink. If using a ring cake or loaf tin just grease with a little soft butter as you won’t need to coat using this method. The cake should release easily after cooling. 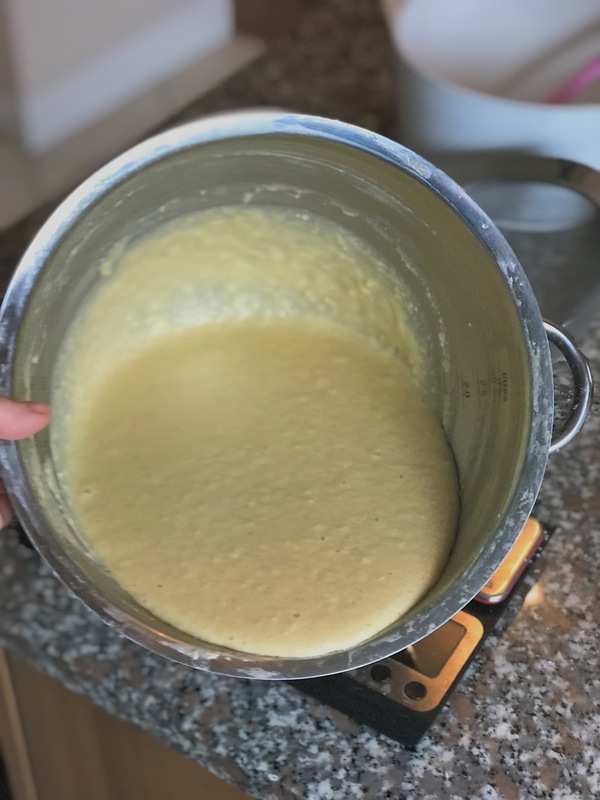 To ensure the butter is very soft, put 250g/ 8.8 oz into a mixer with a paddle/ k blade attachment & beat on high for a few minutes. Use a spatula to scrape down the bowl. Add the caster/ superfine sugar and mix on high speed for about 5 minutes until pale & fluffy. Scrape down the bowl. Add the egg mixture a little at a time ( 5 or 6 additions) beating on slow for 30 seconds then on high for 90 seconds. Scrape down the bowl in between egg additions. John’s recipe says the mixture could split. 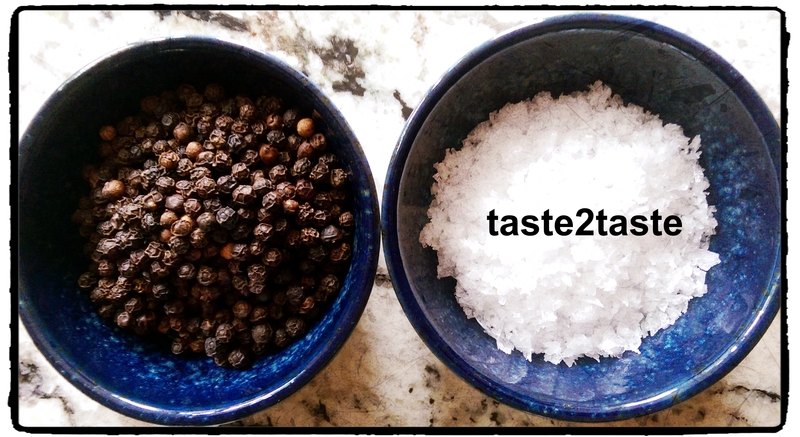 Traditionally I would add a tablespoon of flour to bring back, but the recipe says keep going – so I did! Add the buttermilk or natural yoghurt in 4 additions, mixing on slow for a few seconds then on high for 60 seconds between each addition to combine. Again the cake mixture could split ( it looks slightly lumpy) but again ignore. Add the vanilla paste and mix on high for 30 seconds. 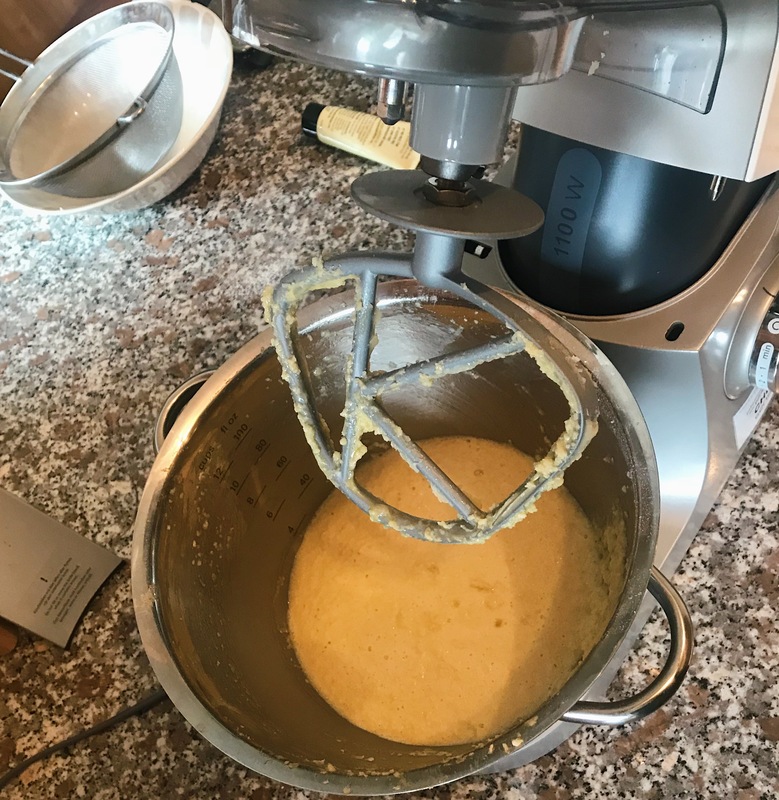 Make sure the mixer is on its slowest setting and add the flour in 3 additions mixing for 20 seconds then stopping to scrape down the bowl in between. Bake the cake on the middle shelf of a fan oven for 50-60 minutes, each oven is different & mine took 50. Remove the cake and insert a skewer which will come out ‘clean’, no cake sticking to it which means it is baked. My cake had a few cracks on the surface which is fine as this is the base & won’t show. Leave to cool for 20 minutes in the tin. Give the tin a good shake and invert onto a cooling rack. I used the skewer round the edge of the tin before turning out to help release it cleanly. Allow the cake to cool completely before decorating. 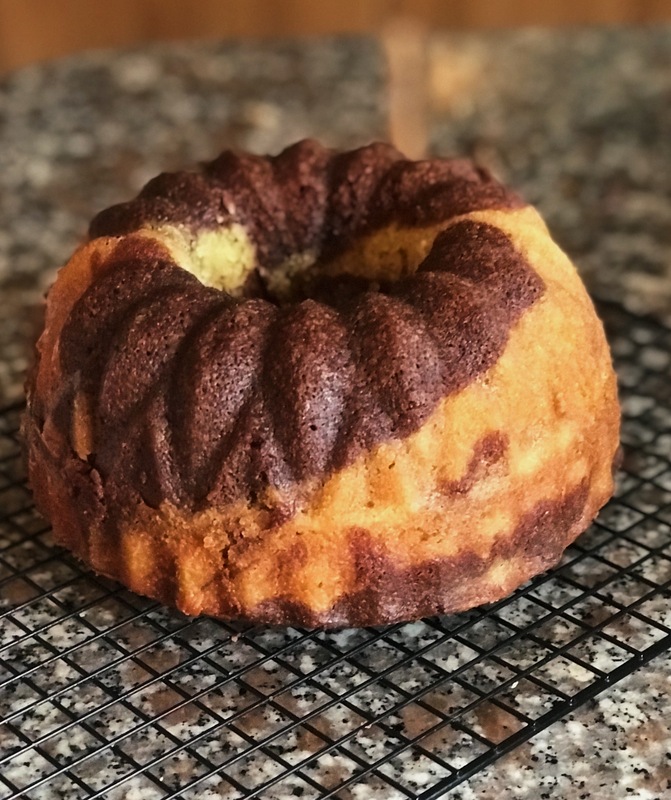 1st Bundt cake out of the tin – phew! Break the chocolate into small pieces into 3 bowls – one for each chocolate type. If using the coffee spread/ espresso coffee powder add 1 dessertspoon to the milk chocolate bowl. 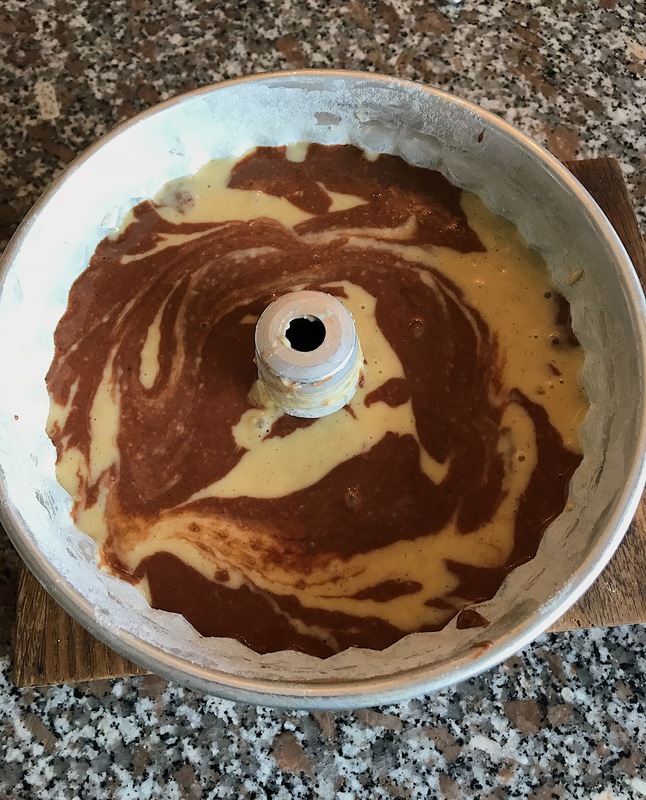 Heat the cream in a small saucepan on medium heat for a few minutes until boiling point and add a third to each bowl to melt the chocolate. Leave for 30 seconds then mix well with a fork ( one for each bowl) until a glossy drizzle mixture is formed. If too thick add a little more hot cream. With the cake on the cooling rack drizzle each chocolate randomly over the cake. I used newspaper on the counter for less mess! The aim is to look abstract so have fun! Leave for at least 1 hour to ensure it is fully set before moving onto a serving plate/ stand. I actually left mine overnight. I also used a little dab of melted chocolate on the serving plate to hold the cake as I had to transport it to the other side of London to deliver for the family birthday. This cake keeps well for a few days in an airtight container although it won’t last long, if your family are anything like mine! Chocolate ( mocha) marble drizzle cake for Birthdays, Valentine’s Day or for any reason to eat home made cake! Your cake looked so delicious I am now tempted in making it.